Fuel Injected two-strokes aren’t the abstract novelty that they were one year ago. 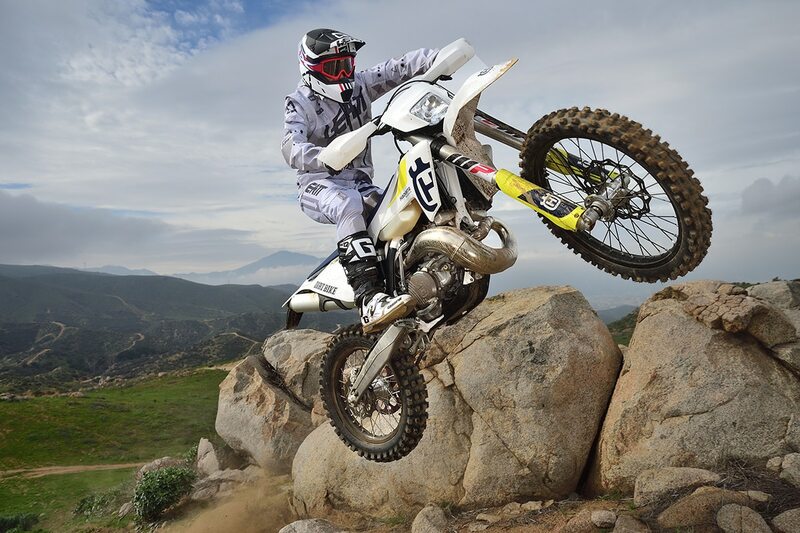 Now, Husqvarna KTM and even TM are bringing them into the U.S. This week we got to spend more time on the 2019 Husqvarna TE300i, which is the Husky counterpart to the KTM 300XC-W. The KTM has been in the Dirt Bike shop for some time now, but this is our first experience with the Husky since the world introduction in Canada over a year ago. This model is only available with fuel injection this year. 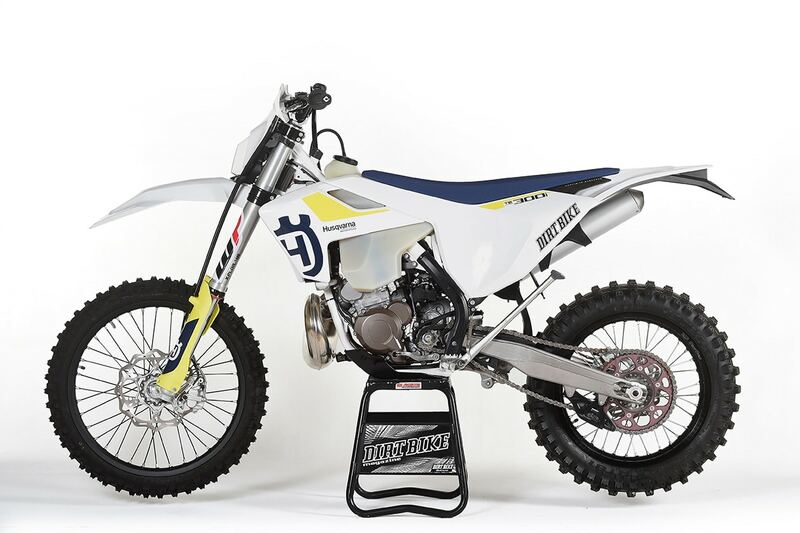 The carbureted version of the TE300 is gone, but the Husqvarna TX300 still has a Mikuni carb. That version of the bike is more race oriented, with stiffer suspension, an air fork and no headlight. You can click here to read the 2017 test of the TX300, which is very similar to the 2019 version. 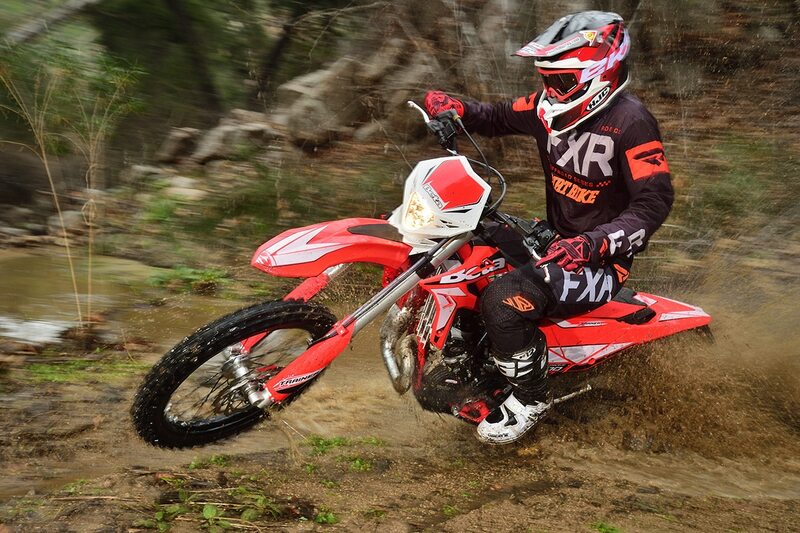 On the KTM side of the fence, the corresponding version of the TX300 is the KTM 300XC. In that case, the fuel injected bike (the XC-W) has PDS rear suspension while the carbureted bike has linkage. The two Husqvarna 300s both have linkage. If you’re still on the fence about fuel injection for two-strokes, you’re not alone. We have been struggling with the same thing. First of all, there are two significant advantages: mileage and performance at altitude. We did a number of back-to-back tests last year and found that the fuel injected 250 always got better mileage than the carbureted one, but the difference varied greatly. At sea level , it was around 7 percent. At altitudes around 6000 feet, it was over 20 percent. You can read more about that test here. There’s a related advantage to the fuel injected bikes in the form of oil injection. You spend far less on premix oil (about one fourth) and you never have to worry about accidentally using straight gas. Two-stroke purists scoff at that notion, but it’s a constant worry with us, because we mix two-strokes and four-strokes on almost every ride. There are disadvantages to the Husqvarna/KTM TPI bikes, too. First of all, it’s worth about 6 pounds of extra weight. It also means more in price. The TE300i is $9899 this year and the TX is $9599. Admittedly, not all of that is because of the TPI, as the TE has a headlight and a different fork. The biggest disadvantage of all is that the technology is still in its infancy. You’re going to be a guinea pig. We know of a number of people who purchased 250s with TPI last who suffered through some mystery problems and firmware updates. Most have been resolved by now. The good news is that when it works, it works brilliantly. The Husky TE300 that we rode this week is a sweet, wonderful bike with none of the glitches that we experienced last year. In every measure of performance it’s as good as any off-road bike made. The counterbalanced motor, which was released in 2017, is incredibly smooth and the low-rpm performance is superb. It’s a wonderful motorcycle and I love it. There will be more in the May, 2019 print edition of Dirt Bike. Speaking of bikes I love, the Beta Xtrainer is back. The idea behind this bike is to offer a true trail bike at a reasonable price. The Xtrainer has an oil-injected 300cc two-stroke motor with a trails-like power delivery and it’s an absolute blast to ride. It doesn’t have the peak power to be a race bike, but not everything is about racing. The best part is the price: $7499. I’ll have more about the Xtrainer on next week’s Wrap. Yamaha’s Off-Road Contingency Program is back. The 2019 bLU cRU program features an increase to nearly $5 million for registered Yamaha riders competing in motocross and off-road motorcycle racing. As we have seen in the past, there’s considerable support given to motocross venues like the AMA Amateur Nationals at Loretta Lynn’s. A typical class win there is worth $1000. What caught our attention most of all is a dramatic increase in payouts to the GNCC series. When it comes to off-road racing Yamaha seems to focus almost everything there: a total of $456,950 is posted for GNCC. 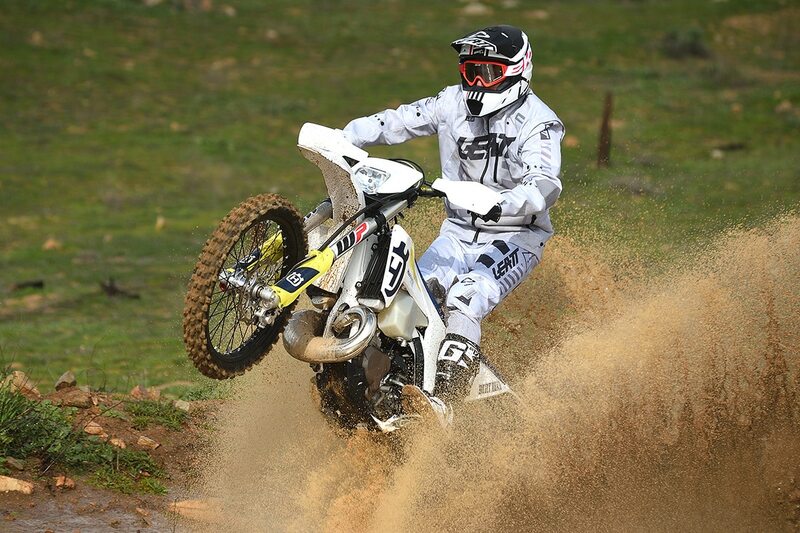 A win in the XC1 Pro class is worth $5000 on a Yamaha Debit card. A distant second place in Yamaha’s off-road racing priorities is the National Grand Prix Championship (formerly known as Big 6) at $51,000. A win the Pro class there is good for $500. Most amateur classes are $100. I’m a big fan of the Husky Good Old Times Blog by Kenneth Olausson. This week he goes way back in time to the years around the Great War. 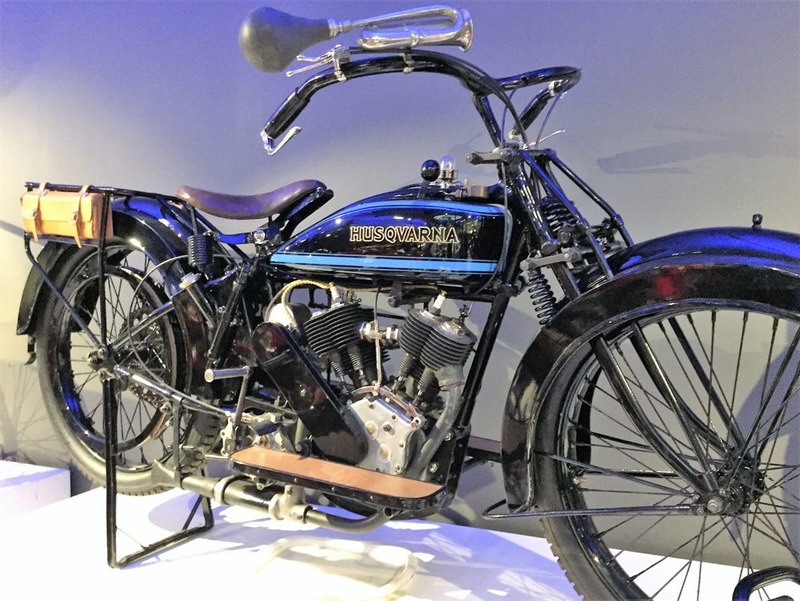 One big leap forward came in 1919 when the Husqvarna factory produced their first own product – with a Husqvarna engine. It was the Model 150 and would be made for almost a decade-and-a-half until 1933. At the time of its market introduction in 1920, this newcomer was priced at 2,900 SEK (approx. 600 dollars). 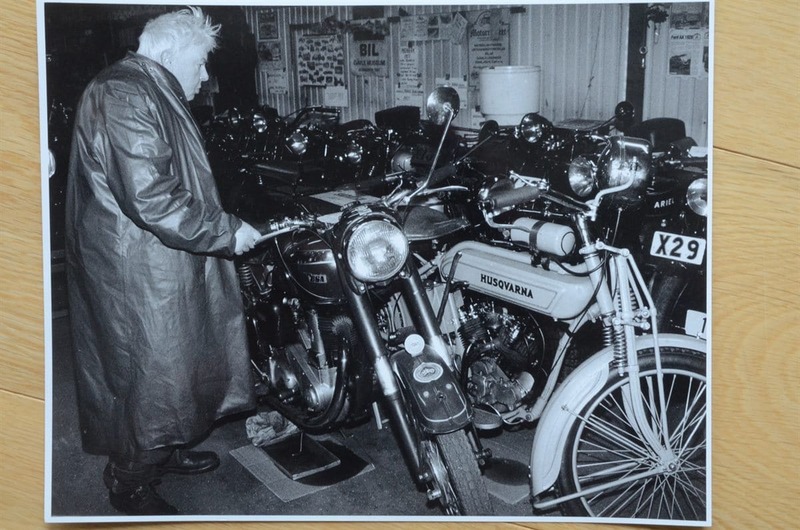 The Model 150 was equipped with a homemade 550cc four-stroke engine with side valves and an initial output of 5hp. You can read the Husky Good Old Times Blog by clicking here. Last night at 7 pm CET BMW Motorrad revealed that the next Int. 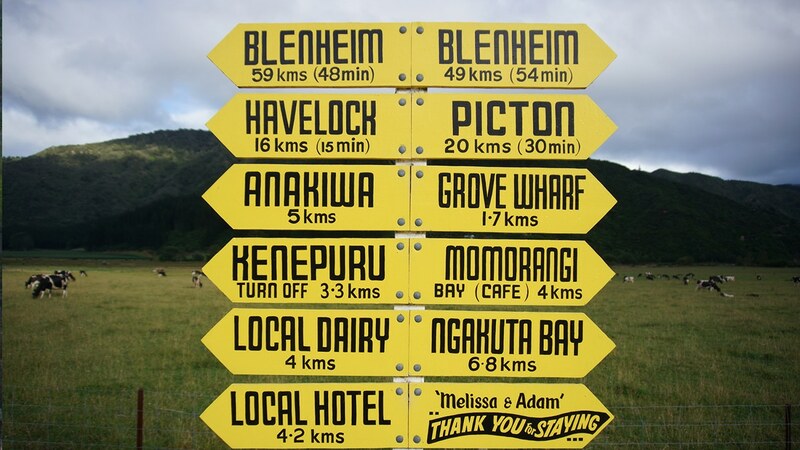 GS Trophy will take place in New Zealand – just another dream destination for most adventure riders worldwide. 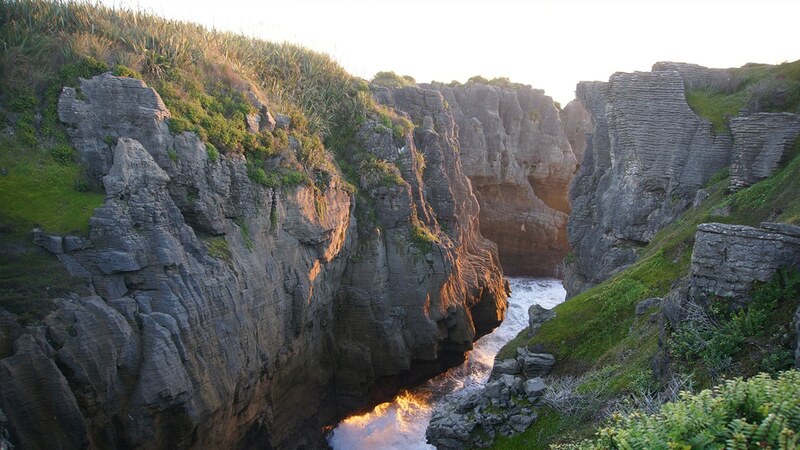 The participating nations now face a busy time, hosting their qualifiers and selecting their teams for this exciting and unique global adventure competition. 18 international teams, plus, as in the 2016 and 2018 editions, an international female contingent will be selected during the next months. 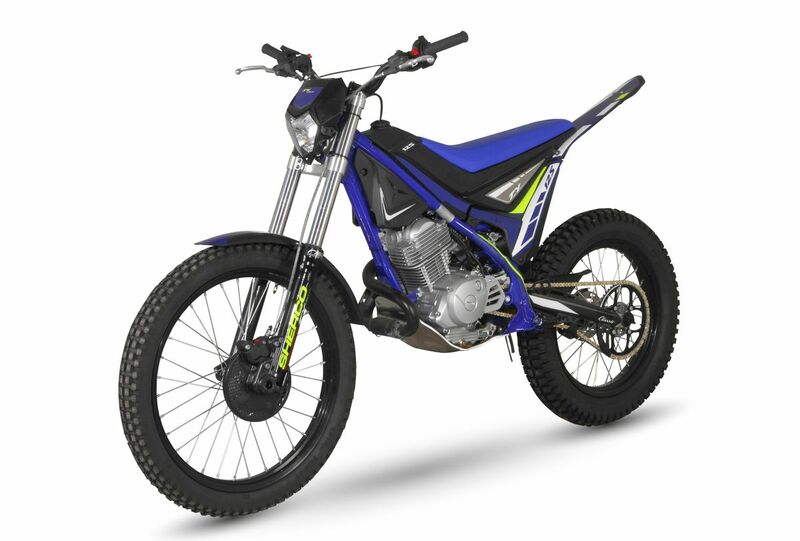 The Sherco factory in France just sent us photos of the 125 trials/trail hybrid. This is a bike that was introduced last year, and now it has a seat and bigger tank for trail riding. Sherco has two different importers in the U.S. Ryan Young has the trials side of the business, and Clay Stuckey has the off-road bikes. Currently, this isn’t on either list, but we think its kind of cool, in a funky weird-bike kind of way. The new tank has a total capacity of 4.8 liters (1.3 gallons) which gives a range of at least 180km (112 mi). 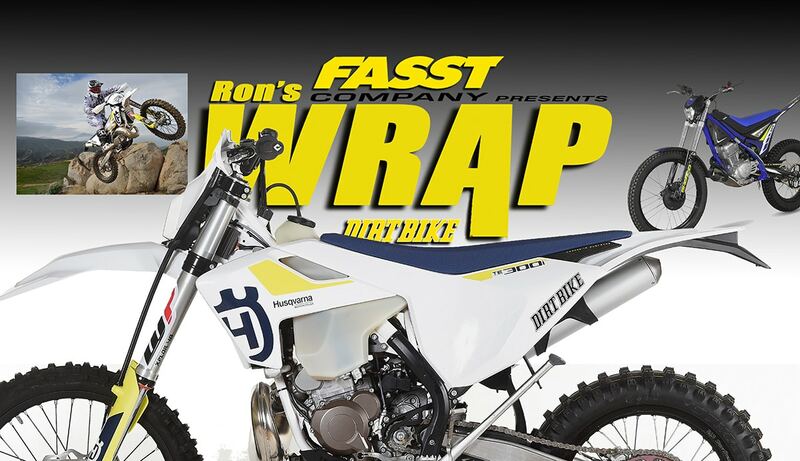 We will have a trials bike buyer’s guide coming in the April print edition of Dirt Bike.